Emmy winner Jane Lynch made her official Broadway debut in the Tony-nominated musical revival of Annie on May 16. Lynch’s opening night crowd included loads of fans and many of her Glee co-stars, including Darren Criss, Chris Colfer and Tony winner Kristin Chenoweth. In honor of the occasion, Lynch received a big opening night bash at Ruby Foo’s restaurant. But before they made their way over to the party, the famous guests headed backstage at the Palace Theatre to congratulate Lynch. Broadway.com photographer Bruce Glikas has the exclusive backstage photos of Lynch’s starry opening night. 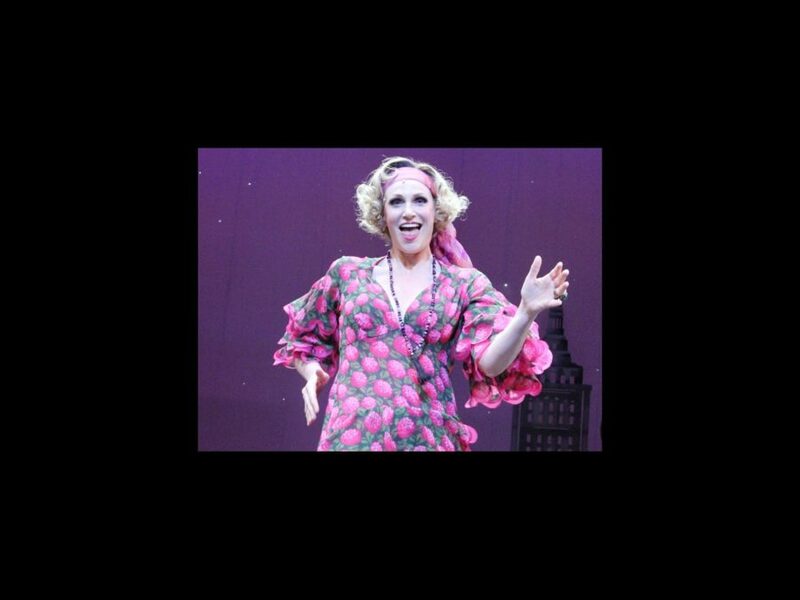 Check out the pics below, and don’t miss Lynch as Miss Hannigan, now through July 14.